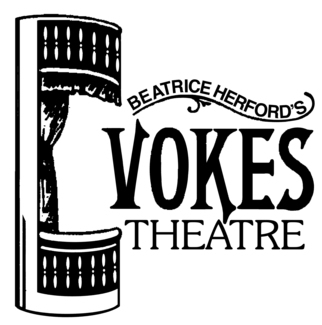 Auditions for the Vokes Players Fall Musical * will be held on Sunday, May 5, from 2:00-5:00PM (for YOUNG ACTORS only) and from 6:00 -10:00PM (for ADULTS); and on Monday, May 6, from 7:00-10:00PM (for ADULTS only) at Beatrice Herford’s Vokes Theatre, Route 20 (97 Boston Post Road), Wayland, MA. A recent Tony Award-winner for Best Musical and Pulitzer Prize finalist, with an Original Broadway Cast album nominated for a Grammy Award, this coming-of-age musical enmeshes the entire family of the lead character as she grapples with a tragic event twenty-five years in the past. The cast of nine includes five female characters ranging in age from 10-43, and four male characters ranging in age from 8-43. *Contractually, we are not permitted to disclose the production title at this time. However, if you’d like more details, contact stage director Donnie Baillargeon at [email protected]. Music director is Howard Boles, with choreography by Jennifer Condon. Please prepare a short selection of about 2 minutes or 32-bars from a current musical, something contemporary that is in the style of the show. (For adults, think Next to Normal, Dear Evan Hansen, The Last Five Years, etc. ; for children, consider something more pop, in the style of The Partridge Family, The Jackson Five, The Osmonds, etc.) Selections should be a bit more dramatic for those auditioning for the Narrator, Father and Mother; more comedic and/or up-tempo for everyone else. Callbacks will be held on Tuesday, May 7, time TBD. The Narrator – Wry, pragmatic and super-intelligent self-aware adult; blocked artistically; to heal herself she reflects insightfully through the pieces of her life and relationship with her father before his tragic death; must be a good singer who can move seamlessly in vocal quality from speech to song. Range: Alto - low E to belt C#5. Female able to play age 43. The Father – High-school English teacher; an artist at heart who never made it out of the small town, he spends his spare time on the historic restoration of his home; a closeted, complex man with deep layers of shame and anger from years of sexual repression, with a hot temper at the ready when pricked; can be caring and attentive to his children but so quick to anger. Must be a strong singer who can move seamlessly in vocal quality from speech to song. Range B to G. Male to play age 43. The Mother – Intelligent, composed, kind, but with a quiet coiled intensity and low-grade hostility; formerly a promising actress in NY, now an English teacher, she chucked it to have a family in small town, Pennsylvania. Frustrated, exhausted by her tumultuous, emotionally abusive marriage, she has spent her life trying to be a good mother and wife while turning a blind eye to the indiscreet activities of her husband. Must be a strong singer who can move seamlessly in vocal quality from speech to song. Range: A flat to strong mixed E5. Female to play early-to-mid 40’s. The Narrator as a Late Teen – Discovering her sexuality; an incredibly well-read, hyper-intelligent teenager; her uncertainty about who she is makes her socially awkward at times; becomes overjoyed in the world of her new-found sexuality; must be a strong singer who can move seamlessly in vocal quality from speech to song. Range: alto - strong mix-belt to C and effortless mix to E5. Must move well. Female able to play 19. The Older Brother – Oldest of the three children; fun and full of energy; strives to be the leader but is sometimes overshadowed by the Narrator’s strong personality; seeking a singer (ideally pre-pubescent) with a natural sound, good sense of harmony and pitch. Male to play 10-13. The Narrator as a Child – Confident and intelligent, precocious and opinionated; on the cusp of finding herself and forming her own views on how a girl her age should behave and dress; yet because of the era she’s growing up in, she doesn’t have the vocabulary to fully define herself; strong singer who can move seamlessly in vocal quality from speech to song, natural sound; Range: B to B. Female to play 8-11. The Younger Brother – Like most boys his age, he is full of energy with a quirky imagination; looks up to his siblings. Seeking a singer with a natural sound, good sense of harmony and pitch. Male to play 6-9. The Girlfriend – A college student; exudes a confident, sexual energy, with a dry sense of humor; she is very comfortable in her skin and openly identifies as a lesbian; must be comfortable with harmony singing. Range: alto lines. Must move well. Female 18-20. The Actor – Plays multiple roles including the lead singer of a band with a strong clean 70s pop sound. Range: to a B. Must move well. Male 20-30. Twenty-five years after her father’s unexpected death, “the Narrator” dives deep into her past to tell the story of the volatile, brilliant, one-of-a-kind man whose mercurial temperament and secrets defined her family and her life. Moving between past and present, “the Narrator” relives her unique childhood playing at the family’s business, her growing understanding of her own sexuality, and the lurking, unanswerable questions about her father’s hidden desires. The Vokes Players Fall Musical, whose title cannot be revealed at this time because of a contractual embargo until July 1st, is a refreshingly honest, wholly original musical about discovering who you truly are and seeing your parents through grown-up eyes and ultimately discovered who you truly are. Rehearsals will begin in late August. Expect up to three-four rehearsals/week. Performance dates are November 8 - 23, 2019 at 8:00PM, with a 2PM matinee each Saturday as well.